Could there be a new king to be crowned in the South? A one-time member of New Orleans's Hot Boys, rapper Lil Wayne attained a new level of confidence and skill on 2004's Tha Carter. That album featured only a few guest shots (as opposed to typically star-studded hip-hop records), and this 2005 sequel once again keeps things focused on Lil Wayne, with the MC flying solo on almost every track. His latest effort provides a mixture of club bangers, true-life tales and tracks that serve as a memorial for New Orleans and the victims of Hurricane Katrina. On virtually every song, Lil Wayne praises his homestead. Without a doubt this southern MC has his heart in the right place. Could there be a new king to be crowned in the South? After hearing Tha Carter, some would say that Lil Wayne is in contention for the throne. The cocky braggart with the tweaked flow is claiming to be the best rapper alive; an immense void to fill seeing as the last proclaim to such was the God emcee, Jay-Z. With this output, Tha Carter, Vol. 2, we shall see whether Lil Wayne will fulfill the self-prophecy he set forth or send the disciples looking for the next rap messiah. The uncluttered scenario, which relies on a spare, yet distinctly Cash Money-style musical backdrop, gives Lil Wayne the freedom to let his laid-back rhymes stretch out, as best revealed on the ominous Fireman and the boastful Best Rapper Alive. Clearly Lil Wayne knows how to work a winning concept, since Tha Carter, Vol. 2 stays true to both its predecessor and the relentless, unapologetic spirit of Southern rap. He attacks the believers of the theory that because he’s from the South he cannot compete lyrically on the On Tha Block #1 interlude, and gives a very presumptuous assertion in the upcoming track. Over the screeching guitars and grave opera warblings, Lil Wayne annunciates that he is the Best Rapper Alive, once and for all, defeats the notion that being from the South and being a lyricist is a contradiction. Lyrically, Lil Wayne has always stood out from his hitmaking Cash Money clique. And with his fifth offering, the 23-year-old rapper takes another major step toward the head of the rap class. The magnetic, organ-infused Hustler Musik is by far one of his best lyrical efforts, and the chopped-and-screwed hook of Money on My Mind complements his signature treble inflection. The Isley Brothers-sampled Receipt is another track where quality production meets clever lyricism. His witty metaphors and assuredness are as polished as ever. The New Orleans rapper began his long stint with Cash Money as part of the Hot Boys, a popular late-'90s supergroup also comprised of Juvenile, Turk, and B.G. that set the stage for respective solo careers. Lil Wayne was the youngest in Hot Boys but grew up quickly and enjoyed a steady stream of hits in the process. 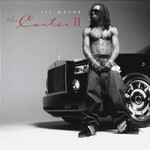 Tha Carter was released in 2004 and Tha Carter, Vol. 2 appeared at the end of 2005 while Lil Wayne was busy in his native New Orleans raising money for victims of Hurricane Katrina. On his new work he displays a growth by varying the subject matter and expanding his storytelling. This album has all the ingredients of a classic. The lyrics are on par with the best, and contain insight that is relevant to the timeframe. The well-rounded, risk-taking, but true-to-its-roots album suggests Lil Wayne can weather the highs and lows like a champion. At times, Tha Carter, Vol. 2 provides a glimpse of the man who someday may actually be one of the Best Rapper Alive. With a solid mixture of club oriented tracks and street-driven songs, Lil Wayne provides a good sequel that promises to be a great foundation for future projects.